Get tips from local experts and itinerary suggestions that fit your time and interests. Travel Lane County operates two visitor centers and a mobile visitor van stocked with numerous attraction and visitor-related brochures to assist visitors. 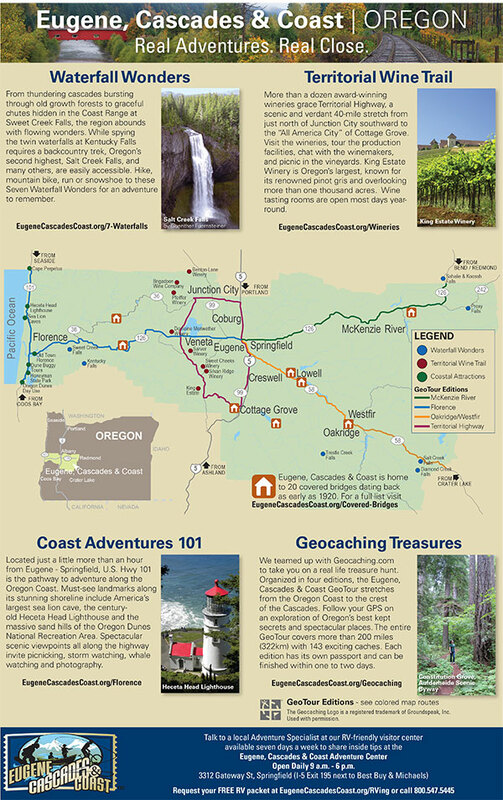 The Official Travel Lane County Visitor Guide and Dining Guide are among their publications made available to visitors.